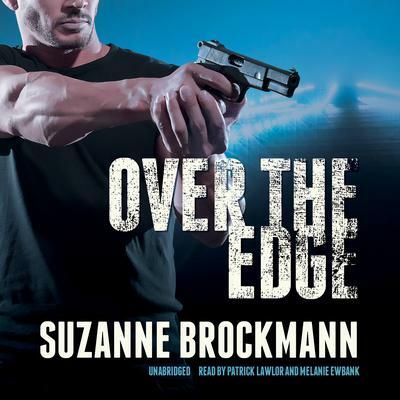 Suzanne Brockmann has taken romantic suspense by storm with her action-packed thrillers. Now she has written the most gripping novel of her career—an unforgettable story of an explosive hostage situation in which two people are caught between the call of duty and the lure of destiny. For Lieutenant Teri Howe, one of the best helicopter pilots in the naval reserves, nothing stands in the way of her passion for flying—until a past mistake surfaces, jeopardizing everything she’s worked for. Senior Chief Stan Wolchonok has made a career of tackling difficult challenges, so it’s no surprise when he comes to Teri’s aid, knowing that his personal code of honor—and perhaps his heart—will be at risk. But when a jet carrying an American senator’s daughter is hijacked, Stan’s unflinching determination and Teri’s steadfast courage are put to the ultimate test. The rescue mission will be daring and dangerous. But somewhere between peril and resolution, the line between friends and lovers begins to blur, pushing both their lives over the edge. Suzanne Brockmann has taken romantic suspense by storm with her action-packed thrillers. Now she has written the most gripping novel of her career—an unforgettable story of an explosive hostage situation in which two people are caught between the call of duty and the lure of destiny. For Lieutenant Teri Howe, one of the best helicopter pilots in the naval reserves, nothing stands in the way of her passion for flying—until a past mistake surfaces, jeopardizing everything she’s worked for. Senior Chief Stan Wolchonok has made a career of tackling difficult challenges, so it’s no surprise when he comes to Teri’s aid, knowing that his personal code of honor—and perhaps his heart—will be at risk. But when a jet carrying an American senator’s daughter is hijacked, Stan’s unflinching determination and Teri’s steadfast courage are put to the ultimate test. The rescue mission will be daring and dangerous. But somewhere between peril and resolution, the line between friends and lovers begins to blur, pushing both their lives over the edge.